Stephanie Arredondo, 19, is currently an intern in SCE's Customer Service department. 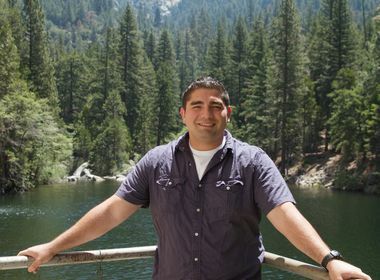 Tony Stevenson, 24, is currently an electrical engineering intern at SCE. SCE intern Stephanie Arredondo with Leanne Hua, co-organizer of the Intern Expo. SCE intern Tony Stevenson with Leo Labra, co-organizer of the Intern Expo. SCE interns bring fresh ideas and talent to areas as diverse as EVs, customer service and emerging technologies. Stephanie Arredondo just helped launch a first-ever, $1 million LED lighting incentive campaign for wholesalers for one of the country’s largest electric utilities. And she did it as a college freshman while interning at Southern California Edison. Arredondo is one of about 150 students currently employed as paid interns throughout SCE. And their talents are being used on projects that have a direct impact on the company. Through an intensive application process, Arredondo was selected to work full time in the Customer Service department and is currently involved with several projects. Other interns have been assigned to various areas, including electric vehicles, emerging technologies and customer experience. And the interns are learning real-world skills they can use in their future careers. Tony Stevenson, 24, is in his last semester at Cal State University Northridge where he will soon earn a degree in electrical engineering. Currently, he’s at SCE’s North Coast office in Valencia where one of his projects involves Automatic Reclosers, devices that help protect SCE’s equipment and ensure the safety of the public. It’s work he never thought he’d be doing, although his mom always wanted him to be an engineer. 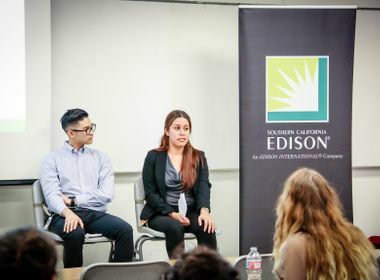 The interns recently showcased their skills at the first Edison Intern Project Expo sponsored by SCE’s University and Campus Relations team. 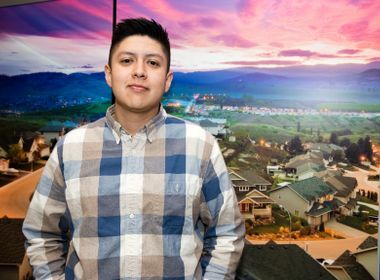 Leo Labra, an SCE Human Relations consultant and co-organizer of the expo, believes it’s important to invest in young talent, especially in a quickly changing utility industry. “Interns bring in fresh, innovative ideas and perspectives to the traditional way of doing things,” he said. In addition to academic excellence, applicants for the competitive internship go through two rounds of interviews, including a face-to-face meeting. Most of the SCE internships run through the summer. For more information: on.edison.com/internship and Twitter.com/SCE_College.